2. 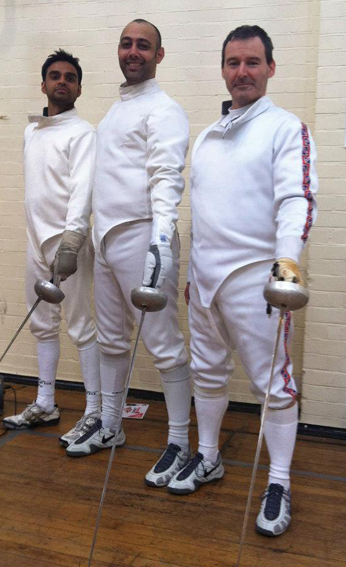 Keep personal records of your fencing actions getting insight into your own strengths and weaknesses. Any time you fence someone, you can suggest that it'll be a ranking fight. After the fight once you're online log in the result. To do so, log into your account, click on Ranking and Fights- then on Add New Fight Record. You'll be prompted to select the date and input the score of the fight. Your opponent will receive email asking them to confirm the record, and once it's done the fight will count towards your ranking. Each fight won equals 1 ranking point. The rankings will be constantly updated and could be viewed on the Club Rankings page. Each calendar year the rankings will start afresh. You'll also see that for each of the fights you could note down your fencing actions and their effectiveness. For example, you could create records Parry 6 - riposte or Fleche attack on preparation or any other which then will be stored on the system. Try to recall as many of your own actions as you can for each fight, and with the time you'll be able to assess your own arsenal of actions at a glance. We'll also provide a page where you could have a look at some specific aspects of your technique: for example, how good is a particular action against the right or the left hand opponent or whether some of your actions are becoming better or worse with time. The previous version has been updated. Added option for opposite gender fights. Some bugs have been fixed. This is a special promotion valid till August 2016: receive 20 min credit for individual lessons for every 20 fights you register, win or lose.